Look, I’m the first to label myself a bit of a Google fanboy. I am fully immersed in Chromebooks, I use the Pixel phone, Chromecast, Google Home, Google Play Music, YouTube TV, Gmail, Gsuites, Google Docs, Allo, Hangouts and am a general fan of the stuff Google does. I love seeing the Google Assistant grow and become more capable. I love seeing things like the Pixelbook on stage. I was in heaven at the October 4th event. There are times, however, when my fandom has to take a back seat to reality; when I can’t sit back and seem OK with a very, very poor decision. When things go really far south and a company becomes indefensible in a particular area, even my inner fanboy must relent and simply say what needs to be said. Google, you should recall the Google Home Mini. 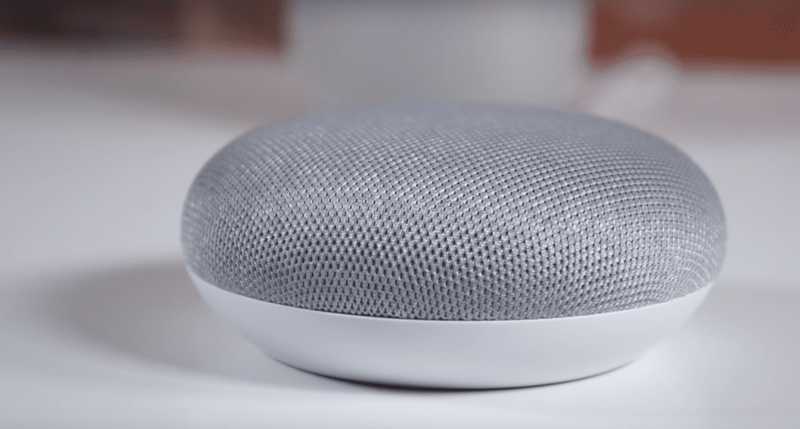 The minute that news leaked about there being a hardware malfunction that caused early-release Google Home Mini devices listen to users around the clock, Google should have been figuring out what a recall would look like. I fully understand production lines and distribution channels. I also understand this would have cost Google millions of dollars. But it would have been the right move. Instead, we now have a massively-distributed device that has one of its primary interactive interfaces turned off. 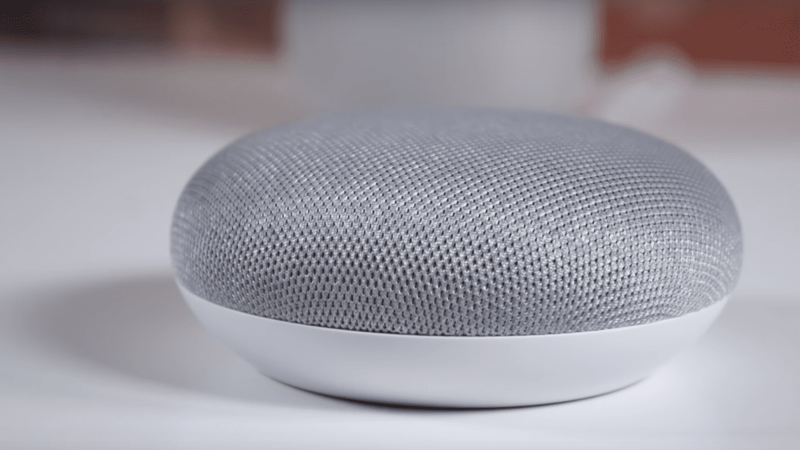 The primary interaction point, if you haven’t heard of this issue yet, is the touch-sensitive area that takes up most of the top of the Google Home Mini’s surface. This area gives the user the ability to play/pause media, stop Google Assistant from continuing to read lengthy passages from Wikipedia, pause alarms, and invoke the Assistant. It is a crucial part of the way you are meant to interact with both the Google Home and Google Home Mini. Google was made aware of the issue before the actual release of the device and could have postponed release, recalled the few hundred devices it gave away at the October event, took the financial hit on the jaw, fixed the issue and re-shipped functioning devices. Imagine a whole line of phones shipped with non-functioning volume down buttons. There’s a workaround to this. Click volume up, use the on-screen slider, and turn the volume down. It still “works”, right? Only, it doesn’t really. A standard and substantial interaction point is gimped severely in this example and would not be considered acceptable. Why, then, is the removal of the top touch area considered a proper fix to the earlier-mentioned issue? If the hardware is causing randomly-triggered listening by the Assistant, the hardware needs to be fixed and replaced. Had the issue been some nascent feature that no one will ever really use, I could see Google sweeping this under the rug and moving on. But the main play/pause button that also acted as the hardware invocation of the Assistant? How can removing that core functionality be seen as anything but broken? Now that the Home Mini has started shipping and is available for sale all over the place, a recall becomes way more difficult. Here’s a real-life example. In our home, the Google Home Mini was placed in my daughter’s room and she used it at night to play music to go to sleep to. After she would fall asleep, I’d simply slip into her room, touch the top portion of the Mini, and playback would halt. Silent and efficient. Since she started the music right on the Google Home, there were no casting notifications or other devices controlling the media, so the only way to get it to stop was to tap the top or say “OK Google” loud enough for it to hear me and ask it to stop. With the top no longer working, I’m stuck talking to Google Assistant and ever-increasing volumes just to stop playback. She’s a sound sleeper, so it works OK, but I still worry about her waking from hearing my voice and now have decided to stop using the Home Mini in this way because it simply doesn’t work as it should. Small issue? Sure. But it highlights the issue that the device simply doesn’t work like it should. Up to this point, the only real gripe with the Google Home Mini from most people was the lack of AUX output to hook in a better speaker. On that, I fully agree, but I wasn’t too worried about it. The lack of a simple play/pause button on the top of the device? Not nearly as acceptable. After all, Google even touted the custom fabric it created from scratch to cover the top of the device and how it let touch, sound and light through. It was supposed to be one the highlights of the design. Now it is just a speaker cover. When new users go to touch the top of the device like they’ve seen in countless reviews and videos already, nothing will happen. Will they have read something like this or just assume the device is broken? When they learn the truth, do you think they’ll be inclined to keep buying products from a company who is knowingly shipping devices that don’t work as intended? I don’t know, but I think the answer is pretty clear. The Google Home Mini is one of Google’s most affordable ways to get the Assistant into new user’s homes. It is one of the #madebyGoogle devices that could see mass adoption much like the Chromecast. And now it is mired in this poorly-handled fiasco. Kudos to Google for owning the issues and patching the problem right away. I’m very proud of how they handled that. But continuing to sell a product that clearly doesn’t function as it should and allowing a janky workaround to be the answer seems like a terrible way to handle things. Perhaps something like a trade-in program could work? Once properly-functioning devices are in the supply chain, Google could offer those with faulty units a direct swap if the lacking functionality bothers them? Perhaps Google’s statement to Android Police was poorly worded? When they said they were “permanently disabling” the touch portion on top, they meant for the first run of devices? So far, we simply don’t know that. What we know is it is turned off to stop the bleeding and “permanently disabled” doesn’t sound very promising that we’ll see the functionality return. So, with all that said, I simply say: please, Google, recall this device and ship the properly-working version. Take the hit and make the long-term play. Do the right thing.